Things that seem obvious are often the easiest to overlook. A basic truth about human development is that there is a first time to experience everything: first steps, first best friend, first day of school, first crush (and breakup), first time with a new language or a geometry proof or a dissection, first job – there is excitement and anxiety in the novelty of firsts. 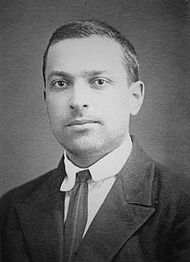 Lev Vygotsky, an early 20th century psychologist, conceptualized the “zone of proximal development” (ZPD) as a bridge between learning and cognitive development. You could think of this as pushing beyond your comfort zone and be sort of correct. The prevailing theories tried to establish when and under what conditions learning and development take place: development precedes learning, learning and development occur at the same time, or learning and development are separate but interrelated. According to Vygotsky, through the assistance of a more capable person, a child is able to learn skills or aspects of a skill that go beyond the child’s actual developmental or maturational level. The lower limit of ZPD is the level of skill reached by the child working independently… The upper limit is the level of potential skill that the child is able to reach with the assistance of a more capable instructor. This summer, I took a bike ride with my older brother and about 1,000 of our closest friends. We rode a little over 360 miles in a week, about four or five hours per day. I had never done anything like this before and on the first day, my brother and I both rode more than we ever had at one time (I admit that I rethought many life decisions on several of the steeper hills). We got stronger throughout the week by drawing on the camaraderie and knowledge of the group, pushing beyond perceived limits, and drafting and pulling each other along the way. Think of what is about to happen on your campus and throughout your classrooms. You have excited and anxious students and excited and anxious faculty members returning to your learning community or joining it for the first time. Their interaction with each other is the hallmark of what your school values and cherishes as it fulfills its mission. Your capable instructors will provide the assistance needed for students to develop and grow – just as you, as a capable leader in your school, will provide the assistance needed for your faculty and staff members to develop and grow. There are numerous opportunities this fall for you to develop and grow: participating in webinars, networking with colleagues, engaging in list-servs, reading and circulating articles with your team, and attending conferences and workshops. MISBO has put together a fall conference that will intentionally push you to the edges of your zone of proximal development. The format is mostly deep-dive workshops into struggles we all face in independent schools today and the solutions we can find together: from legal and financial challenges, to space allocation and facility stewardship, to innovation and sustainability pressures. Passionate thinkers and capable practitioners throughout our community are facilitating these workshops and I challenge you to imagine, inspire, and innovate with us in New Orleans, October 4-6. When you come up for air after ushering faculty and students onto campus and get through your start-of-the-school-year rituals, take some time to discover something new. Put yourself into a position where you will be as excited and anxious as the students and faculty and experience the empathy of the novelty of firsts at the 2017 MISBO Fall Conference.